The Music of Language: Can having an “ear” for language help you learn English? Grammar. Doesn’t that word—just the word “grammar”-- make you sleepy? Instead of counting sheep to lull ourselves to sleep at night we could simply count the parts of speech: noun, verb, adjective….and we’d be snoring away. That’s not to say grammar (there’s that word again: wake up!) isn’t important: it is. Unfortunately, it is over emphasized in the teaching of English as a Foreign Language. Memorizing truckloads of grammar rules simply will not help you learn English. In fact, there is evidence to support the proposition that language is best learned with our ears, that listening (not memorizing grammar rules) is the most important language acquisition skill of all, and that people with musical ability (an ear for music) learn foreign languages more easily. But the jury is still out on the extent of the music and language connection. studying music actually tunes our sensory system. This means that schools that want children to do well in languages should hesitate before cutting music programs. She said music training might also help children with language problems. In fact, the study concluded that because Chinese is a tonal language, Chinese speakers have more complex encoding of pitch patterns in their brains than English speakers. The study also suggested that the reverse may also be true: people who are native speakers of a tonal language (such as Chinese), are able to learn to play musical instruments easier than speakers of non-tonal languages (like English). One example of the music and language connection is opera singer, Gabriel Wyner. He was required to learn four languages for his career as an opera singer: Italian, German, French and Russian. Gabriel had to learn these languages fast, so he developed his own system for learning language. Not surprisingly, Gabriel starts with learning the pronunciation of a new foreign language. Starting with pronunciation first does a few things—because I'm first and foremost learning how to hear that language's sounds, my listening comprehension gets an immediate boost before I even start traditional language learning. Once I start vocabulary training, I retain it better because I'm familiar with how words should sound and how they should be spelled. After learning how words and letters in a new language are pronounced, Gabriel goes on to learn grammar and vocabulary (no English allowed). Gabriel doesn’t rely on his native language, English, to learn the grammar and vocabulary of his target (foreign) language. 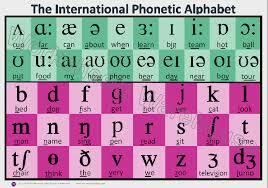 Gabriel thinks the International Phonetic Alphabet (“IPA”) is worth learning. So he relies on that and his understanding of pronunciation to learn grammar and vocabulary. Clearly, there is some evidence to support the proposition that musical ability equates to a high language-learning aptitude. However, measuring a language-learning aptitude is the ultimate goal of numerous standardized tests. Such tests want to predict aptitude for learning a foreign language, in much the same way that college entry exams, like the ACT and the SAT in the United States, try to predict which students will be successful in college. Tests measuring language-learning aptitude are used to evaluate potential candidates for careers in which a foreign language is required, such as the US Foreign Service or the US Department of Defense. What can these standardized tests tell about the music and language connection? 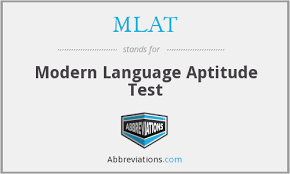 In 1959, John B. Carroll developed the Modern Language Aptitude Test (“MLAT”). The purpose of the MLAT is to test a person’s aptitude for learning foreign languages. 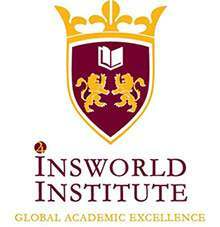 The test is used for numerous purposes: students applying for university programs requiring a foreign language; military personnel being considered for language training and missionary organizations evaluating members for performing overseas missionary work. The MLAT is widely considered to be a valid measure of a person’s aptitude for learning foreign languages. The Defense Language Aptitude Battery (DLAB) is used by the United States Department of Defense to test foreign language learning aptitude of military personnel. Thus, its purpose is identical to MLAT, but it is only used for military purposes. DLAB consists of 126 multiple-choice questions and the test is scored out of a possible 164 points. The test is composed of five audio sections and one visual section. The test takes a total of 120 minutes (two hours): 80 minutes for the audio part and 40 minutes for the visual section. Answer “C” is correct because it is the only word with the stress on the second syllable. Part Two of the audio test introduces rules to a modified English language, which is created to represent the structure of a foreign language. For example, rules of the “new” language might be that all nouns are preceded by verbs (we know that in English verbs precede nouns) or that nouns and verbs will always end in the same vowel sound, which is true in some foreign languages. The examiner is then required to translate a real English phrase (i.e., using correct grammar) into a phrase conforming to the new language with the new rules. In each subsequent section of the audio test (there are a total of five sections) new fictional rules will be added to the new language. Questions will then focus on the examinee applying the new rules to various language points. Finally, the audio test gets really difficult; the test-taker must decipher long auditory passages using all of the new rules previously introduced. Now doesn’t that sound like fun? The visual portion of the DLAB uses pictures and made-up words to test an examinees ability to make associations required in learning a foreign language. Does the DLAB support the music/listening to language connection? I think it does because the audio part is longer than the visual part. Like the MLAT, the DLAB emphasizes listening, but does not completely ignore other aspects of learning a language. I think what this tells us is that instead of over-emphasizing grammar in teaching English, educators should emphasize listening and speaking. Grammar should be taught in small portions related to active listening and speaking exercises.